Gorillaz was conceived in 1997 when Blur frontman Damon Albarn and multimedia artist Jamie Hewlett were sharing a flat on Westbourne Grove in London. The two were watching MTV and became transfixed by the vapidity of the channel and its correlation with society. "If you watch MTV for too long, it's a bit like hell--there's nothing of substance there. So we got this idea for a cartoon band, something that would be a comment on that," Hewlett has said. Hewlett and Albarn would go on to create a fictional universe with a virtual band of cartoon characters who create well shaped music that straddles the stylistic gauntlet. 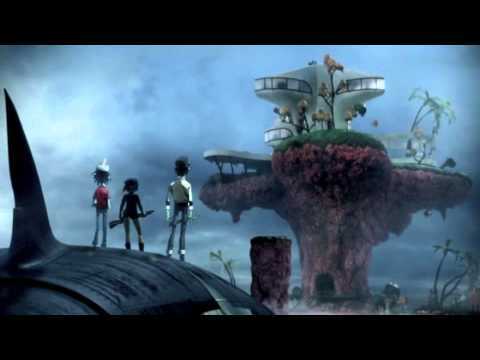 Gorillaz released its eponymously titled debut effort in 2001, and the LP would go on to chart tops on both sides of the Atlantic, as well as be nominated for the prestigious Mercury Prize (although the nomination was later withdrawn at the band's request). Having since gone on to release additional well received albums, the group has also matured as a touring outfit--starting out playing with a select group of musicians performing behind a screen and being silhouetted by back lights, to removing the curtain and employing a cast of musicians from a horn section to a string quartet as well as a selection of guests to heighten and bolster Gorillaz's characteristically dense sound. Since those formative tours, the group has turned into a formidable live act that features an array of backing musicians, rappers and vocalists.